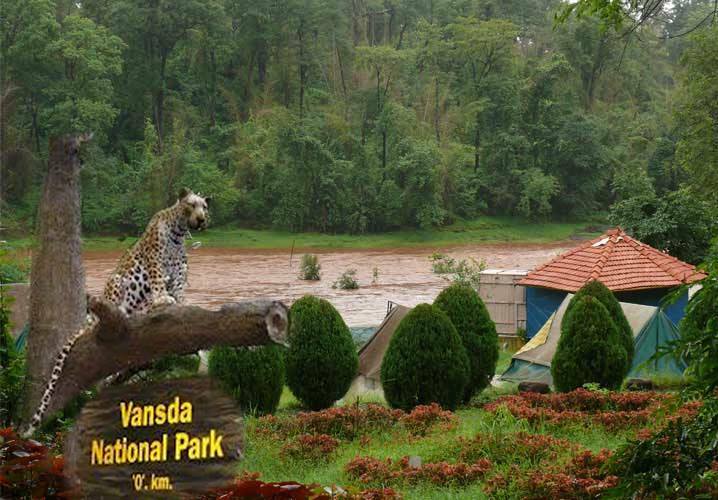 Vansda national park is located in Navsari district of Gujarat (India). The place is a land of dense forest and the region id covered by the forest from both south(Valsad district) and east(dang forest) side. Wildlife – Vansda once host tiger but due to time it lost the tiger and other species like wild dog, sloth bear and Sambar. Now in 20th century this habitat hosts many mammal species some of them are hyena, barking deer, wild boar, leopard, pangolin etc. Apart from mammals here you can find 100+ species of spiders, 11 type of frog species and 25+ species of snakes that can describe the rich wildlife of Vansda wildlife national park. Flora– Vansda national park in host more than 400 species of flowers, which makes this place a perfect picturesque spot for nature lovers. Visitor can also see Bamboo, behda, umrao, humb and tree of salad. In the bank of Ambika river visitor can also see the rich variety of Orchids. Birds– The park is full of variety of bird species Large-billed Crow, Asian Paradise-flycatcher, hangable Hawk-eagle , Malabar Trogon, White-rumped Shama, Black-hooded Oriole are some frequently seen bird species of this national park. Places to visit– Pandava Gufa, Ram and Sita Temple, famous Gira Falls in Ambika river and Unai Hot Springs are some places that are accessible from here. Once you come vansda then you must visit these places as well. Accommodation– Visitor can stay in guest house of PWD or the forest guest house. Apart from these places there are numerous hotels and lodges available where visitor can stay during a trip. The Chitrakoot Hill, Savshanthi Lake Resort and Vaity Ropeway Resort are some nearest resort where visitor can stay. Calmly flowing water stream, unabridged by the greenery with sweet voice of birds in atmosphere and paths that are full of peace are some characteristics of vansda national park. It is a place where every wildlife and nature fan wants to come.